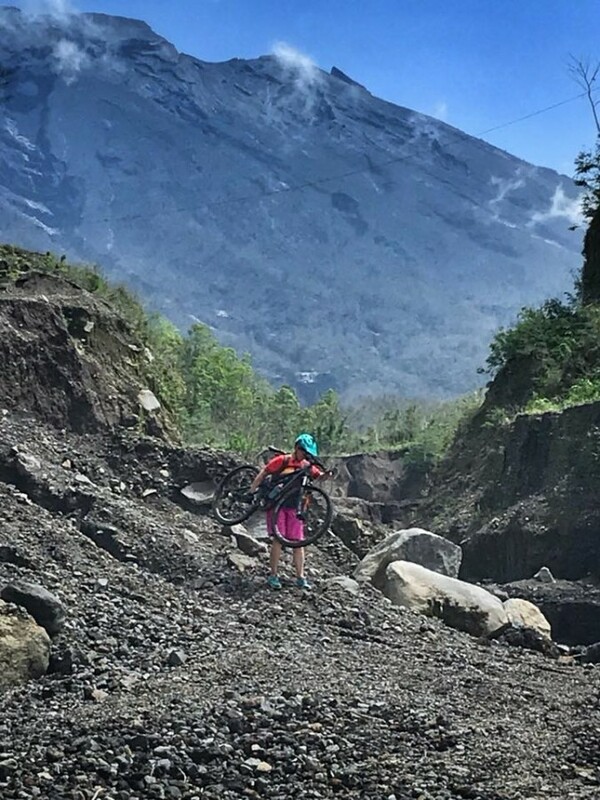 With Agung being a little quieter we went for a mountain bike ride in the area (but still outside the exclusion zone). 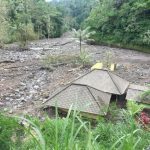 Astounded to see the level of destruction… caused by lahar flows and heavy rain. Lots of village roads washed away in many locations, marigold fields abandoned as a result and farmers struggling with access.Higher up tree foliage is brown (although regenerating). It’s hard to imagine the destruction when viewing the mountain from much farther away. NOTE VISIT WAS OUTSIDE EXCLUSION ZONE. Another comment : This is what broke me to see. Absolute destruction of the river, life in the river and the ones who rely on it for an income. There is no coming back from this overnight.